The chief of Bantama in Kumasi and war Marshall of the Asantehene, Nana Baffour Asare Owusu Amankwatia V is reported dead. The death is yet to be officially announced inline with traditional custom. A source at the Manhyia Palace has confirmed to ghnewsnow that he died at the Korle-Bu Teaching hospital in Accra on Tuesday. The late chief of the Kumasi suburb in Ashanti region was said to be unwell recently. The Bantama stool is very prominent in Kumasi and the Manhyia Palace. Nana Amankwatia V was enstooled in 2002 to succeed the late Baffuor Awuah V who died in 2002. 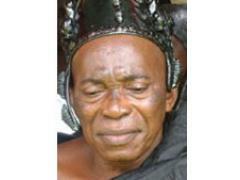 He was known in private life as Ben Kwadwo Owusu Asare, the eldest son of a former Bantamahene, Baffuor Amankwatia IV. 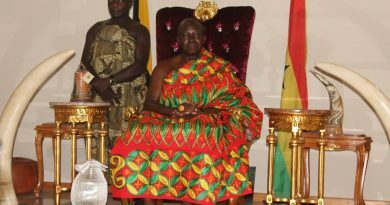 The occupant of the Bantama stool pays an unalloyed loyalty, dedication and honesty to the Asantehene. 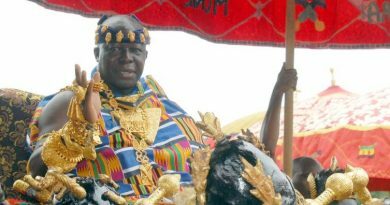 The Bantamahene, is also the head of the Krontire clan of the Kumasi Traditional Council and also serve as the war marshal of the Asantehene.